Accomplished Pakistani mountaineer Colonel (retd) Abdul Jabbar Bhatti became only the fourth person from the country, and the first from outside the Gilgit-Baltistan region, to scale the world’s highest mountain peak, Mount Everest, on May 22. Nazir Sabir, Hasan Sadpara and Samina Baig have been the other mountaineers from Pakistan to have this achievement under their belts. 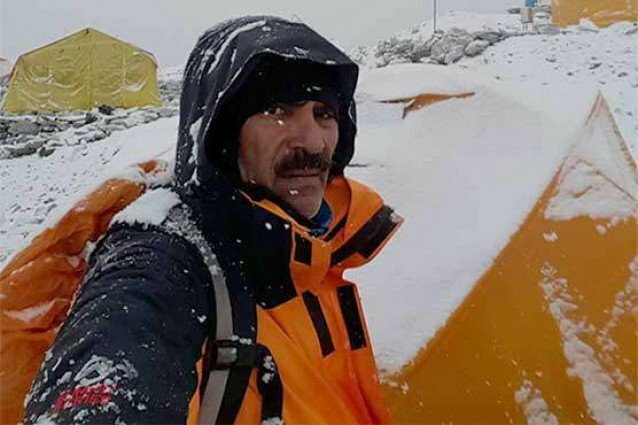 Mohammed Saad, another mountaineer who was part of Colonel (retd) Bhatti’s expedition, also attempted to scale the 8,848-metre high peak, but was not successful. Colonel (retd) Bhatti was clearly delighted at having accomplished an incredible feat. Colonel (retd) Bhatti financed the Rs5-million trip partially from his own pocket and partially with the help of a private donor. His climb to the top of Everest saw him battling a difficult terrain and tough weather conditions for one-and-a-half months before he was able to accomplish his goal. The mountaineering season at the world’s tallest mountain this year was marred by unpredictable weather, strong winds and unusually cold temperatures, which ended up taking the lives of five people attempting to scale the summit. Many more had to be rescued via helicopter after they ran into serious difficulties during their treks. This makes Colonel (retd) Bhatti’s achievement even more laudable as he was able to maintain his strength and stamina all the way to the top, risking his life in the process. 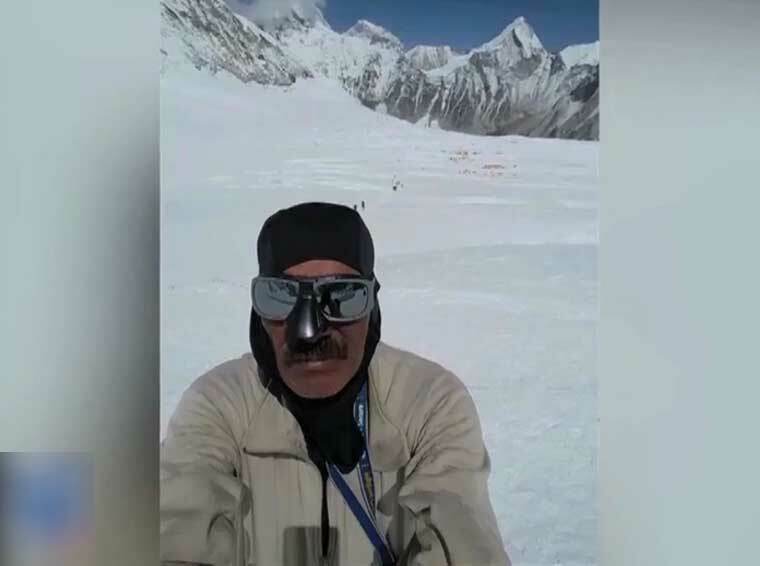 Dawn News and BBC Urdu report that Colonel (retd) Bhatti went through a serious ordeal before he was able to scale Mount Everest. He disclosed that his porter, instead of taking three bottled oxygen tanks, carried only one, resulting in a serious shortage of oxygen during the trek, which horrifically meant that Colonel (retd) Bhatti was forced to spend one night at a height of 8,500m without any oxygen. 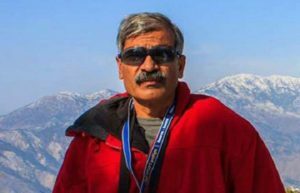 Having managed to scale the summit, Colonel (retd) Abdul Jabbar Bhatti climbed back down to 8,600m, and fell seriously ill because of a lack of oxygen. 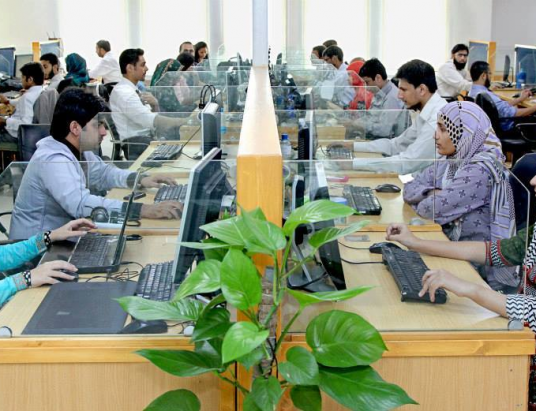 He needed assistance from five individuals to help him get back down to safety and was under treatment at a Kathmandu hospital for a week before he returned to Pakistan. Colonel (retd) Bhatti is a highly skilled mountaineer, possessing an exceedingly impressive resume having successfully conquered Broad Peak (8,051 metres) in 1985, Gasherbrum II (8,034m) in 1986 and Spantik Peak (7,027m) in 2012. His past achievements have been acknowledged by the highest authorities of the land as evidenced by the President’s Pride of Performance award and the Tamgha-i-Basalat (Medal of Good Conduct) that have been conferred on him. The Nation reports that before starting off on his momentous journey in April, Colonel (retd) Bhatti had shared that he had the ambition to scale Mount Everest for a long time and was desperate to achieve this goal this year. Colonel (retd) Bhatti also revealed that he had possessed the passion for mountaineering and climbing since his student days. 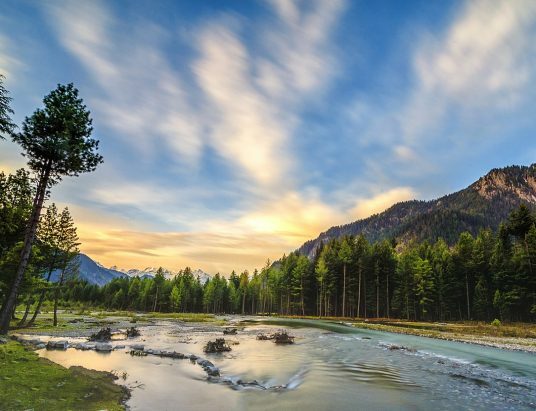 Colonel (retd) Abdul Jabbar Bhatti was effusive in his praise for Pakistan Army, stating that it gave him all the opportunity to fulfill his passion for mountaineering. Having now conquered Mount Everest, Colonel (retd) Abdul Jabbar Bhatti can be counted among some of the more accomplished mountaineers that the country has produced, along with the likes of the late Sadpara, who passed away in November last year. Sadpara was the only Pakistani to have climbed six of the world’s tallest mountains, including Mount Everest, K-2 (8,611m), Gasherbrum I (8,080m), Gasherbrum II, Nanga Parbat (8,126m) and Broad Peak. With Colonel (retd) Bhatti having now scaled three peaks with heights in excess of 8,000m, his status as a celebrated mountaineer is firmly established.